Samsung has revealed that the company still plans to sell a variant of its Galaxy Tab 10.1 tablet in Australia in the "near future," despite a court ruling that has barred the release of the U.S. version of the device. Samsung has said that its forthcoming Galaxy Tab 10.1 set for release in Australia is different from the device sold in the U.S. —which is the hardware Apple has targeted in its lawsuit. Because it is a different device, the Korean electronics company believes it is free to release its iPad competitor down under, according to a statement released to Ausdroid.net. "no injunction was issued by the court and the parties in the case reached a mutual agreement which stipulates that the variant in question will not be sold in Australia," the statement says. "A Samsung GALAXY Tab 10.1 for the Australian market will be released in the near future." The company did not reveal what the difference is between the U.S. Galaxy Tab 10.1 and the one that Samsung will release in Australia. The statement did reveal that no other Samsung smartphones or tablets are affected in the Australian market or other countries. "Samsung will continue to actively defend and protect our intellectual property to ensure our continued innovation and growth in the mobile communication business," they said. It was revealed on Monday that Apple won an agreement in Australian Federal Court preventing Samsung from selling the Samsung Galaxy Tab 10.1. A report from Bloomberg breaking the story made no distinction between the U.S. and Australian versions of the tablet. Australia is one of a number of countries where rivals Apple and Samsung have sued each other for alleged copyright infringement. The dispute started in April, when Apple fired the first legal shot and accused Samsung of copying the look and feel of the iPhone and iPad in a lawsuit. 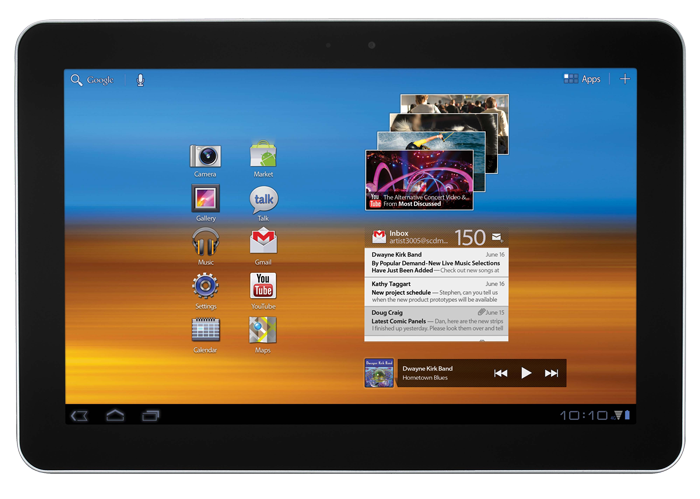 The Galaxy Tab 10.1 was added to Apple's case against Samsung in June, along with the Nexus S 4G, Galaxy S smartphones, and Droid Charge. In that filing, Apple asserted that Samsung has become "even bolder" in copying the iPhone and iPad. Both Samsung and Apple have asked the U.S. International Trade Commission to ban the import of their competitors devices in America. But unlike in Australia, the U.S. commission has not taken such drastic measures thus far.